Excerpt from The Courier Mail, Thursday March 6 2014. 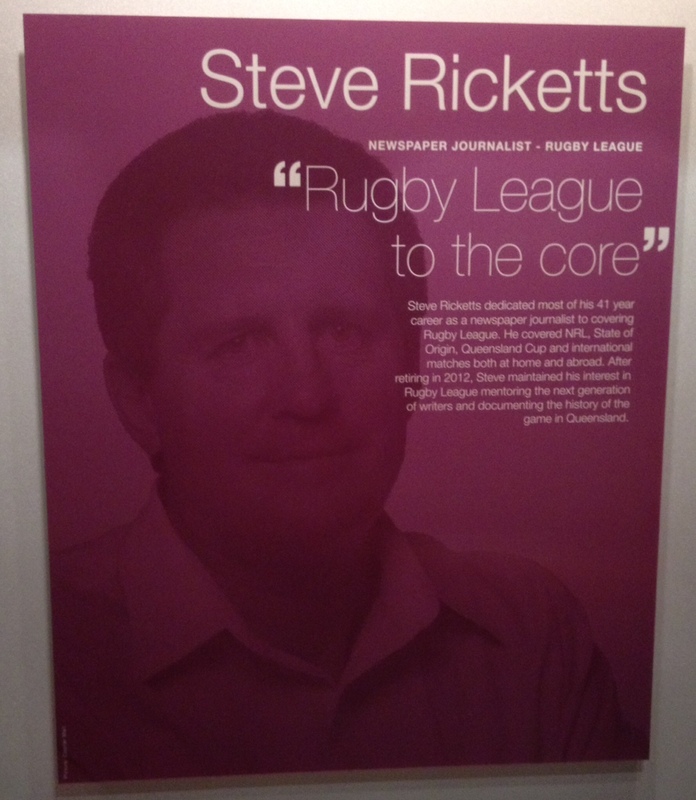 Steve Ricketts and Gerry Collins have been announced as the latest inductees to the Suncorp Stadium Media Hall of Fame. Minister for Recreation and Sport Steve Dickson praised the men for their role in promoting sport, and motivating Queenslanders to get active – a goal shared by the Newman Government. “Steve and Gerry are very worthy recipients, and I congratulate them on their successful careers and the respect they command through the sports industry,” Mr Dickson said. “They have both made a massive contribution to the coverage of sport here over many years and this acknowledgement by their peers is a testament to that. Mr Dickson said sport was a key part of Queensland’s cultural identity. “Queenslanders love their sport and initiatives such as the Media Hall of Fame and the Walk of Fame provide a link to our sporting history,” he said. 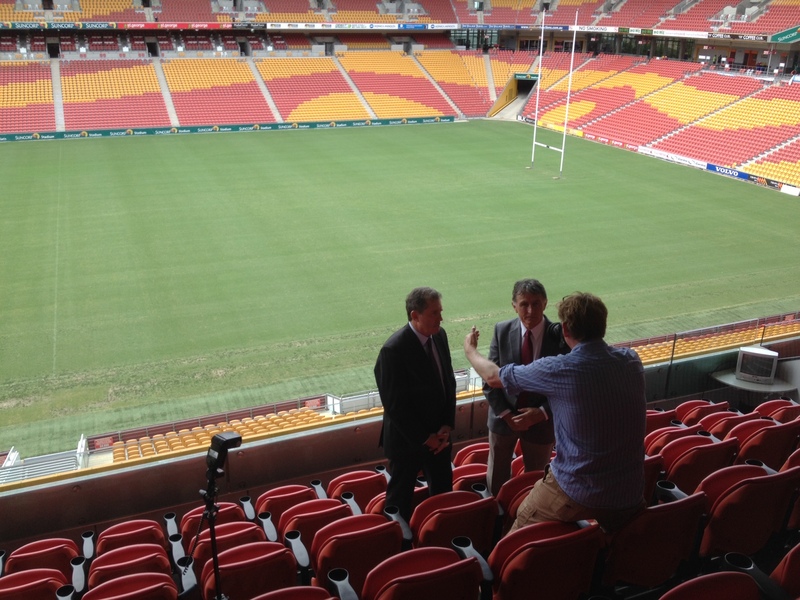 Mr Dickson said the sports media plays a vital role in showcasing Suncorp Stadium events to an international audience. “Our two inductees were around long before the internet, social media and player managers became the norm,” he said. “Both Steve and Gerry’s ability to inform their readers and listeners was through the contacts they made, their credibility as storytellers and their love of the game. Congratulations Steve & Gerry. A wonderful & thoroughly deserved accolade. As an expatriate Queenslander who has resided in Sydney for many years i would like to say thank you both for giving me the best seat in the house with your words, both in print & on air. As someone who doesn’t have pay tv (& never will) & who spent a large slab of the seventies & eighties watching football at Lang Park, you guys have always bought the game to me, in colourful, real & precise language. Thank you i have enjoyed all of it. Cheers.